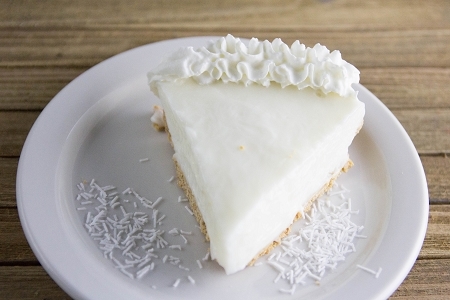 Our richly flavored Coconut Cream Pie mix deserves a blue ribbon for best guilt-free dessert. Made with real coconut, it's refreshing and sugar free. Easy to make—just mix in milk and water and chill.